In the second of two baby monitor reviews today, we're offering our feedback on the brand new Tommee Tippee Digital Movement & Sound Monitor which is not only a fully-digital baby monitor, but also features Tommee Tippee's popular Sensor Pad Technology which allows you to monitor your child's movement. 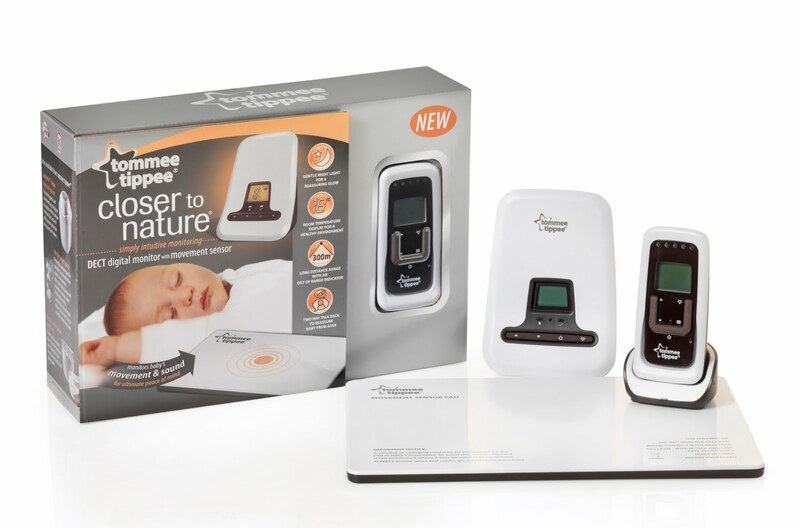 The Tommee Tippee Closer to Nature digital monitor is an audio monitor with crystal-clear sound that comes from DECT technology. Compared to our existing baby monitor, the sound quality was awesome. Our one criticism of the Digital Movement & Sound monitor would be that it does not monitor background noise well which is great for reducing the sound in your own bedroom if you sleep with the monitor on all night, but causes a problem when our daughter actually does start crying because it takes a couple of seconds for the sound on the parent unit to kick in. In most cases when this happened during the night, we were woken by the real sounds of Lara's crying, just before we heard the louder sounds coming from the monitor. The parent unit and baby unit are both very easy to use and intuitive enough that we barely needed to open the instruction manual. We loved the fact that the temperature of Lara's nursery was accurate (see this morning's blog post) and displayed very clearly on both units. I particularly liked the fact that I could control the gentle night-light in Lara's room remotely from the parent unit and set it to three different levels of brightness. One thing I felt the monitor lacked was the ability to play lullabies. I really missed this from my old unit. The Digital Movement & Sound Baby Monitor has black leds (which illuminate with a subtle orange back-light when active) instead of bright green LEDs or similar, this reduces brightness in both the nursery and your own room. When your child stirs, there is a small series of blue lights along the top of the parent unit, more of which illuminate as the cries get louder. Lara is a little old for the movement sensor pad on the Movement & Sound monitor but we did try it out. I was expecting it to be a faff to install but actually we just had to slip it under her mattress and ensure it lay flat. The pad, when installed, allows you to monitor for a movement of your child during a set time period (which you can increase, the more mellow you become as a parent! ), if no movement was sensed during that time, the parent unit alerts you as a prompt to go and check on your baby. Mr. B would have found this functionality really useful when Lara was newborn as he often used to worry if he hadn't heard Lara stir or snort for a while and would wake himself to check that she was still OK.
You can buy the Tommee Tippee Digital Movement & Sound Monitor with the sensor pad for a RRP of £99.99 or without for £69.99 which I feel is great value for such a good quality digital, wireless monitor. I really rate this monitor but if it played lullabies, I'd love it!